With a life that spanned times of war and times of peace, times of plenty and times of want, Jeanne Oliver made it her mission to love and serve others. She was a lifelong resident of the community she loved, and she was guided by an unwavering faith. Jeanne took her roles as a wife and mother to heart, but she just might have argued that nothing was better than becoming a grandmother and great-grandmother later in life. A woman of many gifts, she enjoyed using her time and talents to bless others in ways both great and small. Deeply loved, Jeanne will be forever missed. Life during the 1920s was certainly exciting as innovation was leading the way to lives that were easier for the average American. There were refrigerators and radios for the very first time while cars that were mass produced on assembly lines made them affordable for the average American family. Amidst this eventful time was a time of great excitement in the lives of Otto L. and Amelia (Seitz) Godfrey as they announced the birth of the baby girl they named Jeanne Eloise on October 4, 1923, in Muskegon, Michigan. She was the third of four children as she was raised in the family home on Larch Avenue behind Hackley Hospital in Muskegon alongside her older sisters, Elva and Gwen, and her brother, LaVerne. To support their family, Jeanne’s father was the vice president and title officer at Muskegon Bank and Trust while her mother was a busy homemaker. They looked forward to summers spent at the family cottage on Twin Lake, which was where Jeanne learned to swim. This was also the place she taught many other children to swim in the future. Jeanne learned to play the piano, and she also loved going out dancing. As a student she attended Moon Elementary School and then went on to Muskegon Jr. and Sr. High School, graduating in 1941. Not to be forgotten during her years as a young woman was Jeanne’s introduction to the man of her dreams. His name was Paul Oliver, and he delivered ice for his family’s ice business to Jeanne and her family at the cottage. They eventually started dating when Jeanne was in high school. After graduating, Jeanne went to work as a telephone operator for the telephone company while Paul went off to serve in WWII. 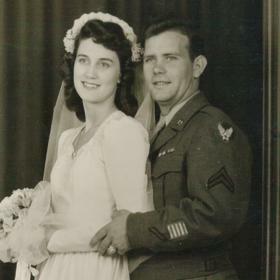 When Paul returned from the war, the sweethearts were married on July 18, 1945. Together they welcomed three children including Ellen who was born in 1946, Violet in 1947, and Paula who was born in 1952, into their hearts and home. As their family grew larger, they eventually built a home on five acres of land on Colby Street in Whitehall. This would be the place Jeanne called home for 38 years.  There was never anything of greater significance in Jeanne’s life than her family. She cherished her children, and she was an active part of their lives. 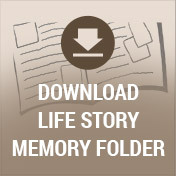 Jeanne was an avid gardener who enjoyed spending time working in her several acre garden. It has been said that she made the most amazing jams and jellies from all the fruits she grew. She was fantastic with both cooking and baking, and her pies were something she was famous for. As a family they enjoyed camping and fishing as well as playing boardgames, Scrabble, and cards. They were faithful longtime members of Whitehall United Methodist Church where Jeanne taught Sunday school. Jeanne and Paul eventually sold the property on Colby and moved to a home on Whitehall Road that had a pool in the backyard. 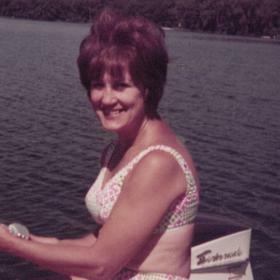 Jeanne loved to go swimming and spend time in the pool, keeping the pool open into the fall as long as the weather allowed. In addition to being an excellent cook and baker, Jeanne was a talented seamstress who made multiple wedding dresses for family and many others. She also like to knit, crochet, and do needlepoint, and she was a very handy and able to fix almost anything. Later in life Jeanne continued to embrace both the peaks and valleys that came her way. She was filled with unspeakable joy to become a grandmother, and she loved spending time with her grandchildren whenever she could. Jeanne frequently babysat her grandchildren, and she also traveled to visit them when they were born and also when they were older. 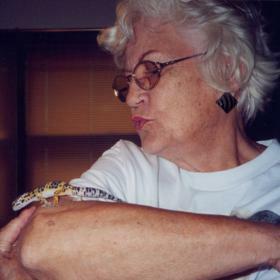 She regularly came to babysit her grandchildren when family members were on vacation or recovering from health issues. When Paul injured his hand at work and was consequently forced into retirement, Jeanne tenderly cared for him and nursed him back to health. After Paul’s death in 1999, she continued living on her own and maintaining an active lifestyle with family and friends from church. Although she had been a dog lover throughout her life, Jeanne really treasured the companionship of her pug, Beijing, during her later years. Eventually, the years started to take their toll and Jeanne moved into assisted living. Truly beautiful on the inside and out, Jeanne Oliver was a blessing in the lives of all who were near. She lived to love and serve others, and her devotion to her family was unmatched. Jeanne was kind, compassionate, and nurturing, exemplifying what it means to be truly selfless. Life will never be the same without her here, but she leaves behind a timeless legacy that her loved ones will proudly carry on in her footsteps. Jeanne Eloise Oliver passed away on Friday, March 23, 2018. 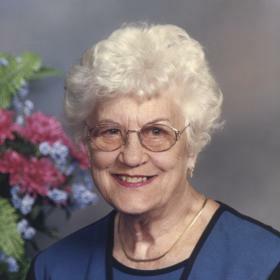 Jeanne’s family includes her daughters, Ellen Jeanne Oliver, Violet Lee (Donald) Wendell, Paula Rae (David) Seebald; 11 grandchildren; 25 great-grandchildren; 7 great-great-grandchildren; many nieces, nephews & cousins. 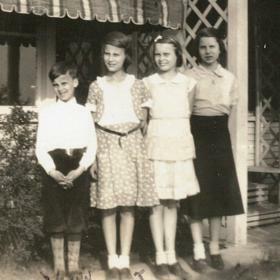 Jeanne was preceded in death by her husband, Paul; brother, LaVerne Godfrey; sisters, Elva Houser & Gwen Godfrey; and great grandson, Joseph Rodrigues. Services will be held on Tuesday, March 27, 2018, 1:00 p.m. at Whitehall United Methodist Church with Rev. Mike Riegler officiating. Interment in Oakhurst Cemetery. Visitation will be held on Tuesday, 11:00 a.m. - 1:00 p.m. at Whitehall United Methodist Church. Memorials can be made to Leader Dogs for the Blind.